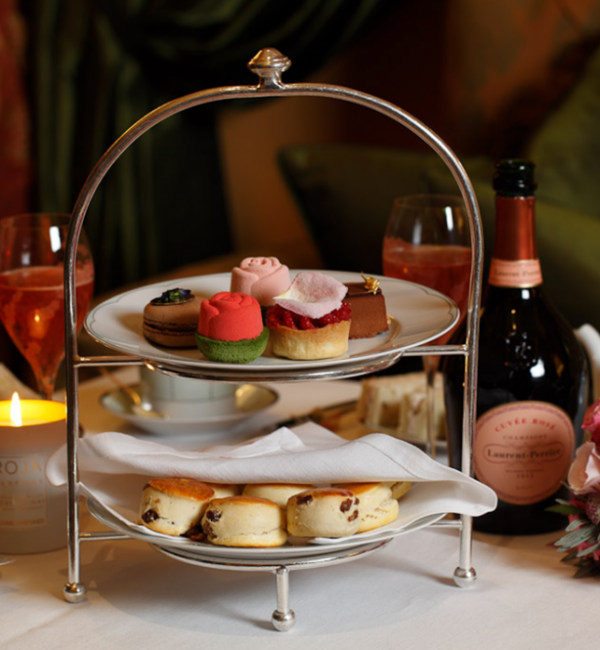 This May, visitors of The Dorchester can indulge in the ‘Rosé Garden Afternoon Tea’ to celebrate Laurent-Perrier’s 14th consecutive show garden at The RHS Chelsea Flower Show and the champagne house’s bicentenary birthday. Guests will be rewarded with a multi-sensory feast of delicious cakes, Laurent-Perrier Cuvée Rosé, floral arrangements by award-winning garden designer, Arne Maynard, and evocative scents by master perfumer, Roja Dove. Garden designer, Arne Maynard, will transform The Promenade into a representation of the Laurent-Perrier Bicentenary Garden designed for this year’s show. 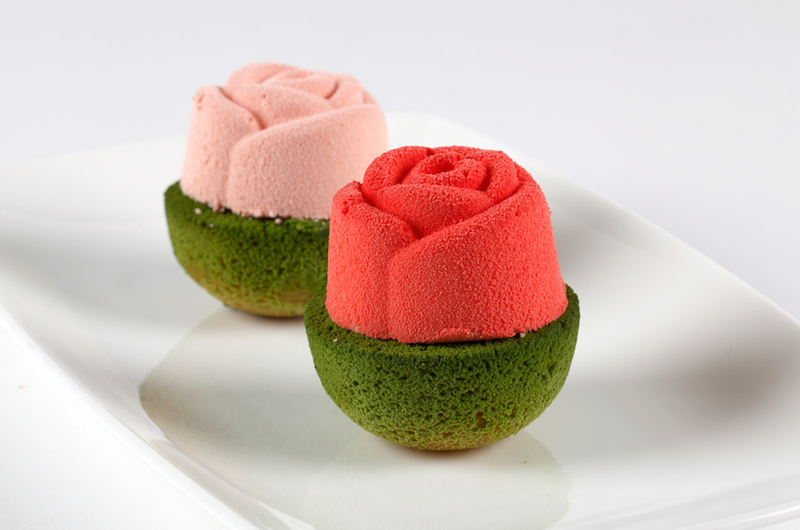 Using a variety of roses and delicate plants known for their floral fragrances, the garden will explore the theme of scents and is The Dorchester’s pastry team’s inspiration for the tea cakes. The Promenade will echo The Laurent-Perrier Bicentenary Garden at the RHS Chelsea Flower Show. Inspired by Laurent-Perrier’s 200 year heritage of time-honoured methods and reputation for creating pioneering champagnes, the garden showcases exacting attention to detail, combining traditional and contemporary elements to exude an everlasting elegance through both the planting and landscaping. Arne, who returns to the RHS Chelsea Flower Show after 12 years, has devised a ‘real’ garden that will sustain its splendour all year round and which in a true situation would provide a regular supply of cut flowers for the house. Plants have been chosen for their colour, texture and scent to evoke fond memories and affections. Arne uses a variety of roses, not seen on Chelsea Show Gardens in recent years, as well as lily of the valley and lavender to leave lingering floral notes in the air around the garden. The dusky pink, burgundy and copper colour palette evokes the iconic Laurent-Perrier Cuvée Rosé. The ‘Rosé Garden Afternoon Tea’ will include white and pink rose chocolate mousse flower heads, raspberry tart with crystallized rose petal garnish, chocolate macaroon with passion fruit creamaux and orange marmalade, and Earl Grey chocolate mousse with gold leaf, and a selection of finger sandwiches and scones complemented by Laurent-Perrier Cuvée Rosé served in an elegant cherry-blossom designed glass. Revered by wine-lovers and style-setters throughout the world, this outstanding cuvée is the perfect partner to red-fruit desserts and a benchmark rosé to which all others aspire. 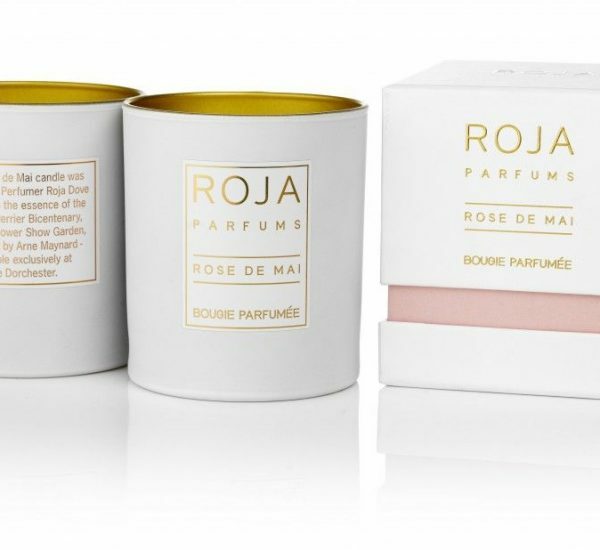 Working together with Arne, world renowned perfumer and leading fragrance ambassador, Roja Dove, has created a limited-edition candle, using one of the world’s rarest floral oils, which will be lit during tea service to further enhance guests’ ‘scent’ experience. Inspired by the Laurent-Perrier Bicentenary Garden, the candle features the scent of the rare Rose de Mai. The bespoke candle will also be available for purchase exclusively at Shop at The Dorchester in the hotel and online once the senses are aroused by the scent in the hotel during this period. 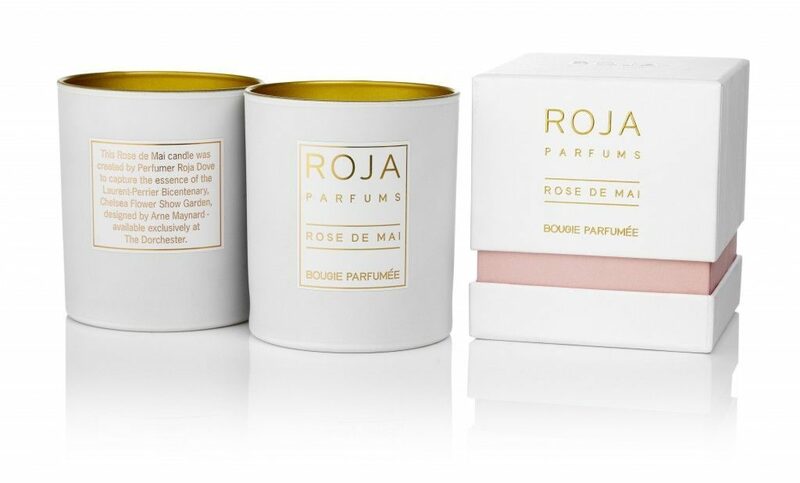 Roja Dove is one of the world’s pre-eminent perfumers, creating both bespoke perfumes for private clients, as well as his own exclusive range, Roja Parfums. Roja has lectured extensively on the history, emotion, and development of modern perfumery, creating along the way collaborations which have become legendary, including his present partnership with Laurent-Perrier and The Dorchester. 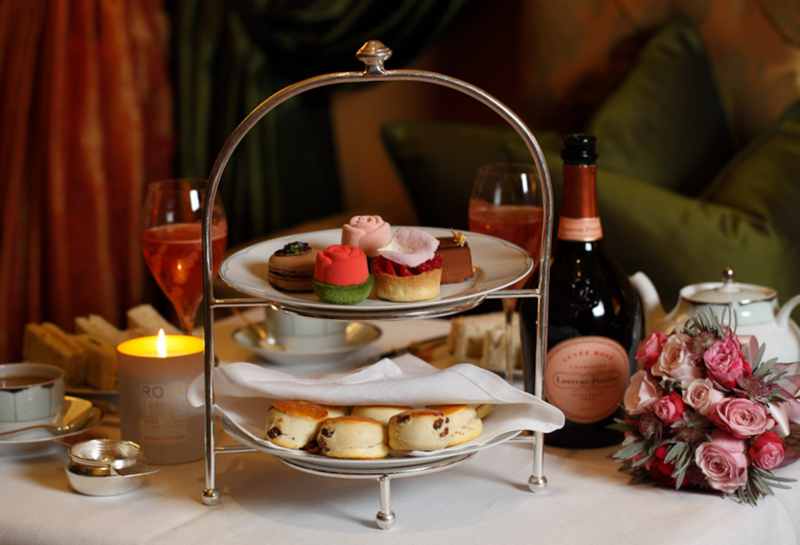 The Dorchester’s ‘Rosé Garden Afternoon Tea’ will be available during the week of the RHS Chelsea Flower Show, from Sunday 20 May to Sunday 27 May 2012 at 1:15pm, 2:30pm, 3:15pm, 4:45pm and 5:15pm, priced from £54 per person excluding service charge. If you so wish to lengthen your experience then you can book the Chelsea Flower Show with The Dorchester which includes an overnight stay for two in a deluxe room with breakfast, and a bottle of Laurent Perrier on arrival, two tickets to the RHS Chelsea Flower Show, two places at the Rosé Garden Afternoon Tea, special rates at The Dorchester Spa and an upgrade on arrival, subject to availability. Priced at £545 per room per night.